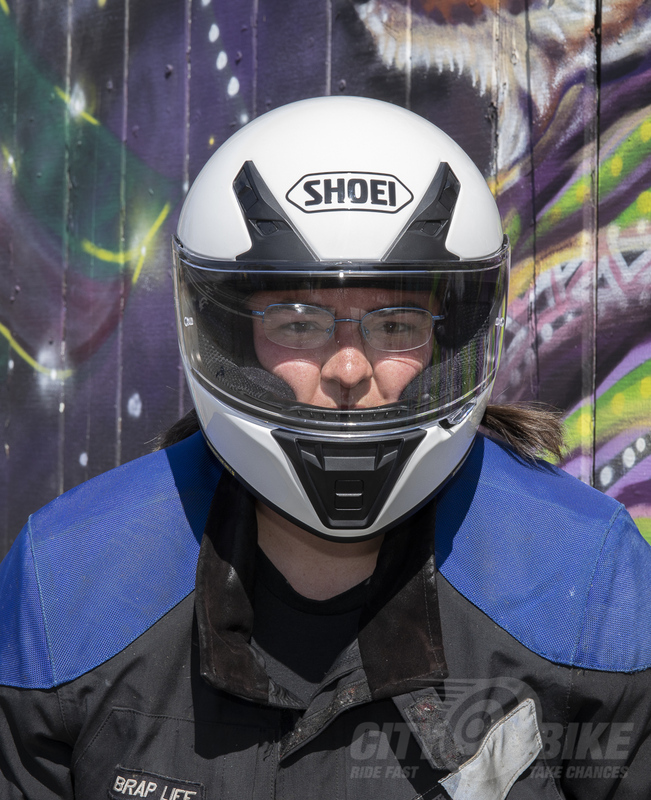 There are six helmets lined up on the shelf next to my front door, but since the day Editor Surj handed me this Shoei to test, it’s been the one I grab for commuting, for day trips, for pretty much for all street riding. 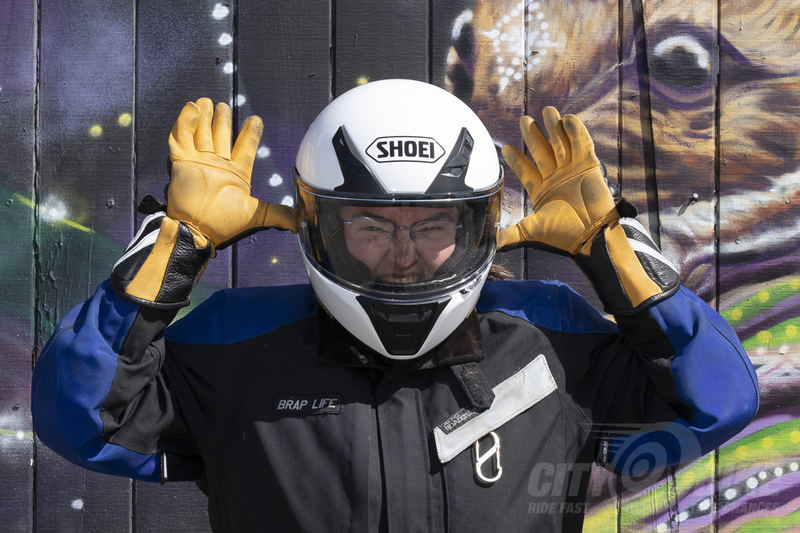 It’s designed to be an entry level helmet, to perhaps entice you into some of Shoei’s pricier offerings, but I can easily imagine being completely satisfied with this DOT and Snell-rated lid. 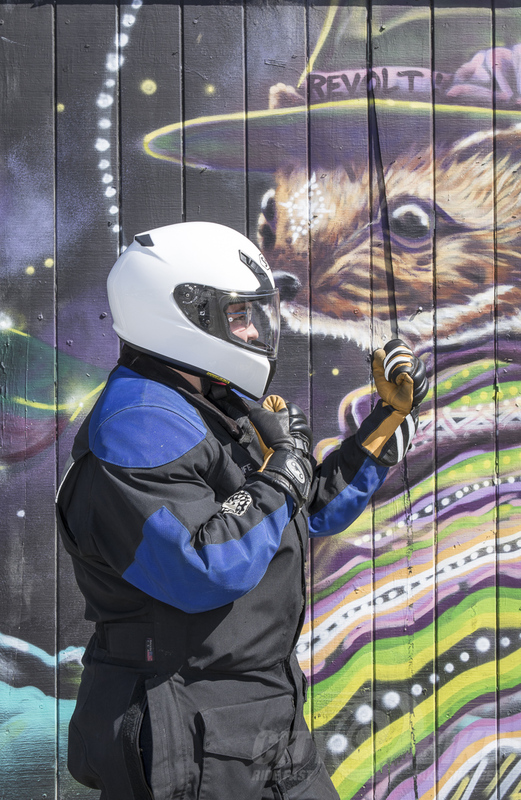 I’ve owned many Shoei helmets over my riding career, and I find the fit of the RF-SR consistent with their other offerings, or, for me, perfect. It’s not the lightest, with a medium weighing in at 1781 grams (or 2 and 1/3 burritos!) with my Sena attached, but not particularly heavy either. Midrange. Most of my bikes are unencumbered by niceties such as a windshield, but the RF-SR is aerodynamically excellent—the wind isn’t a problem. Speaking of wind, this helmet has three vents to let it in: one on the chin and a pair above the shield. The upper pair are excellent, providing immediate and noticeable airflow when opened—they actually helped keep me cool on those crazy-hot days we had in mid-June. The chin vent pushes air over the inside of the shield, helping to prevent fogging. Helping with fogging is the included Pinlock insert. The shield itself is quite large, both wide and tall, with nice snappy indexing. No visibility limitations here. And as a glasses-wearer, I’m always appreciative of the “barely cracked open” visor position that helps keep my glasses from fogging up. Also appreciated are the notches in the padding, so I can easily insert the temples of my glasses into the helmet. The padding itself is removable, ostensibly for cleaning, though it sure does make installing my Sena a breeze. 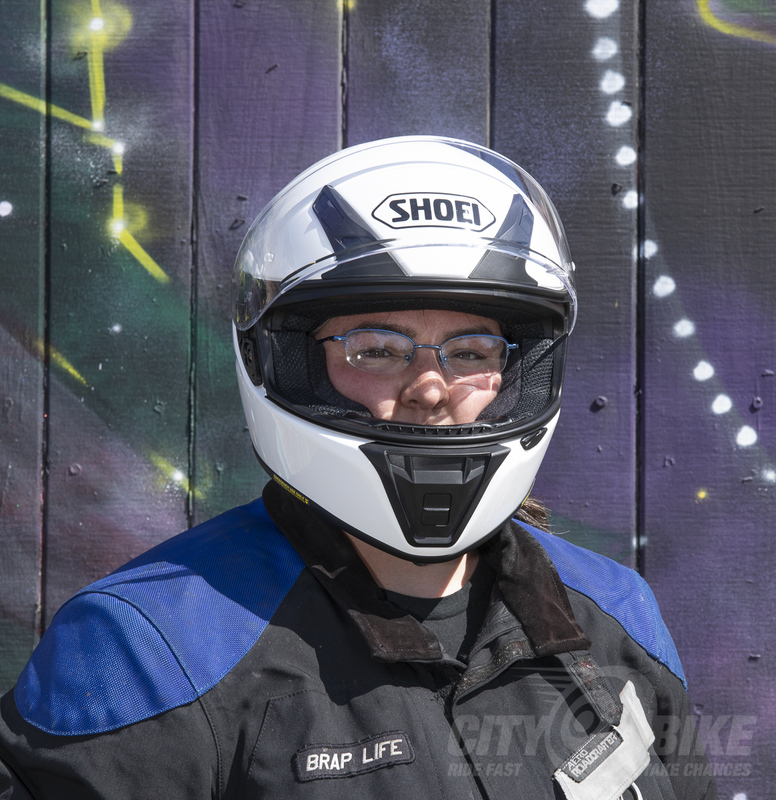 Shoei includes a small breath guard and chin curtain, which can be installed for additional airflow control. OK, so far I’ve just talked about the good. There’s got to be some bad, right? Across all colors this helmet comes in (black, white, matte black, grey, matte dark grey, semi-matte blue, semi-matte orange—no graphics yet), the vents are all black. You could explain this as a design feature, or as a cost-saving measure. With the white helmet I received for review, I think it makes me kinda look like a Stormtrooper. Cool? Maybe? Bottom line is, when I put this helmet on and go for a ride, I don’t think about it. It’s well-built, solid, comfortable, and allows me to enjoy the ride. 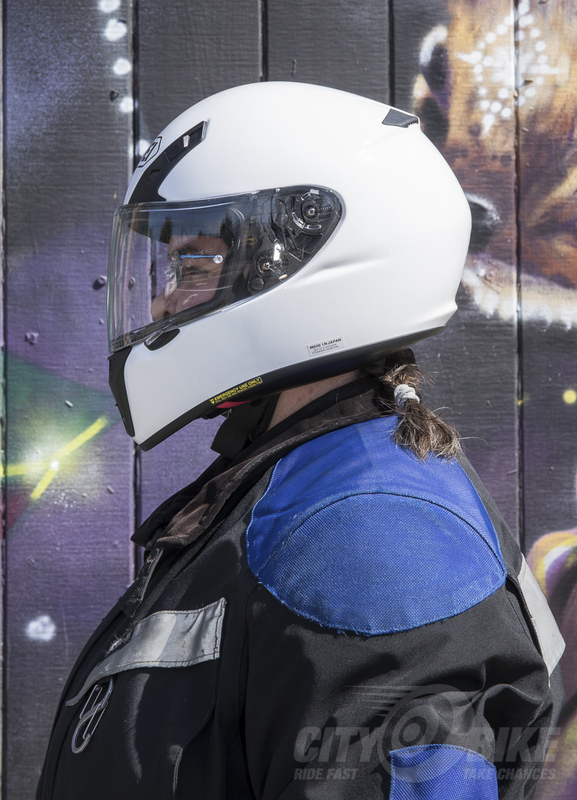 Beyond protection, isn’t that what we all want from our helmets? $399. 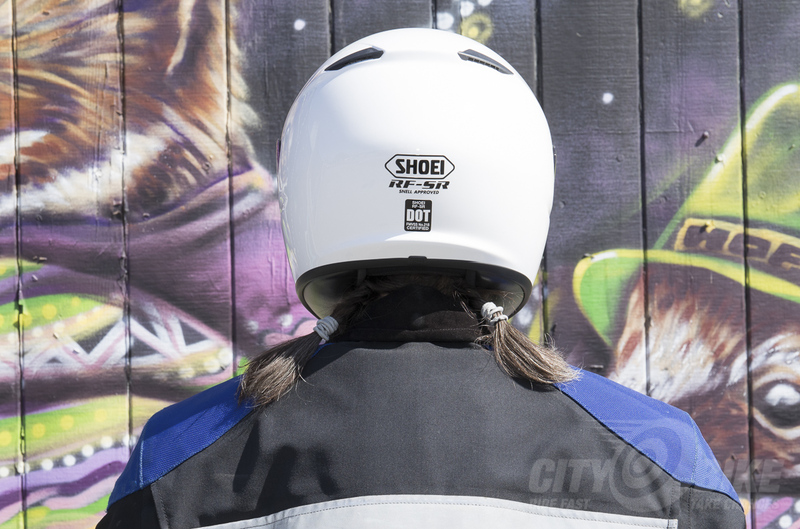 Learn more and find out where to get your own at Shoei-Helmets.com. This story originally appeared in our August 2017 issue, which you can read in all its glory here.